Located in Greenvale, New York, Wheatley Plaza is a lifestyle shopping center featuring fashion, jewelry, beauty, and gifts. 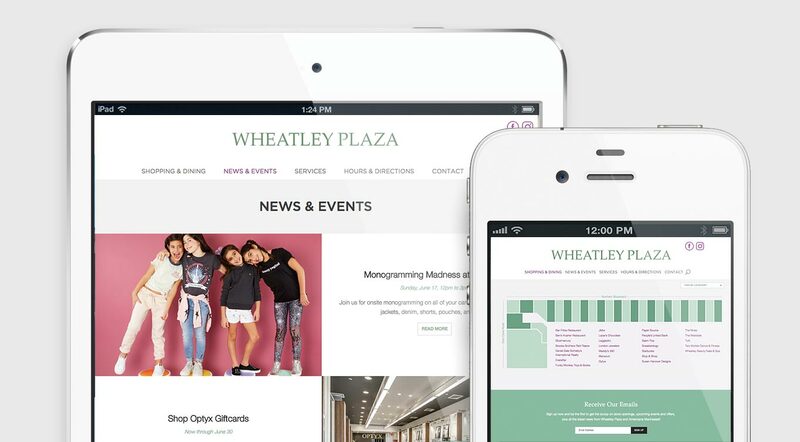 Castagna Realty, Wheatley Plaza’s parent company, hired Brainstorm to build a custom website for Wheatley Plaza that could be easily managed by Castagna’s staff and updated in coordination with new store openings, events, and promotions. 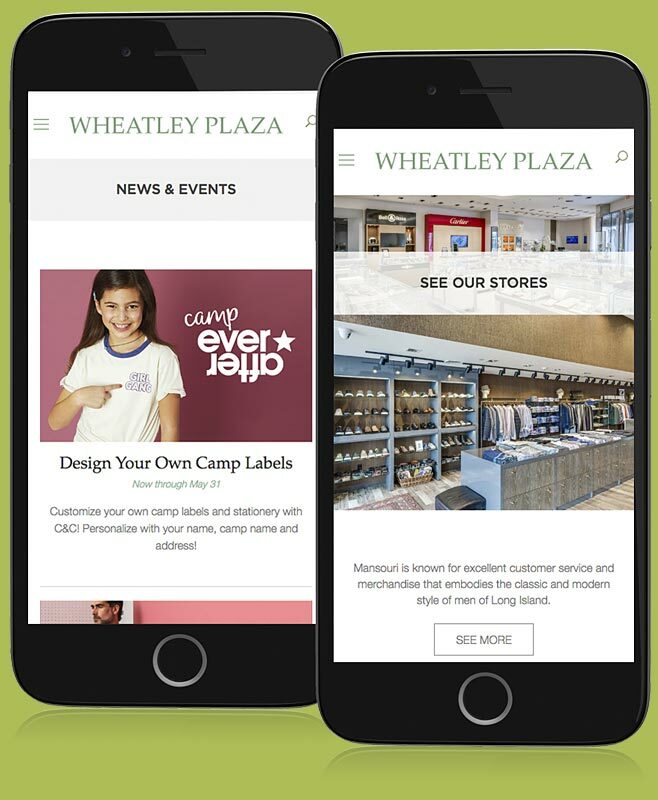 Built in WordPress with a homemade theme and some uniquely customized plugins, the Wheatley Plaza website manages to be both “light” from a coding perspective yet highly user-friendly. Castagna staff regularly adds new stores to the site’s interactive map along with new events and promotions. With its simple but versatile CMS, the site remains visually powerful and structurally coherent despite ongoing client-side updates.